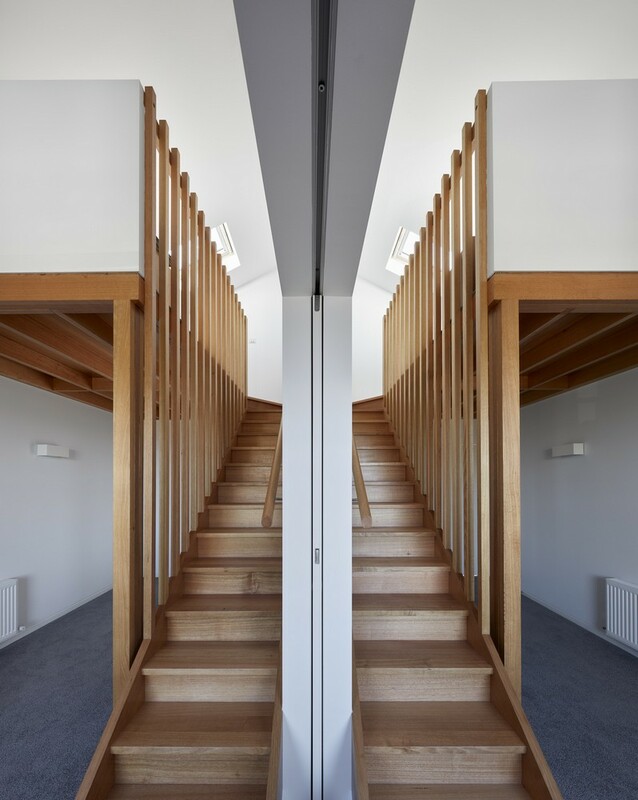 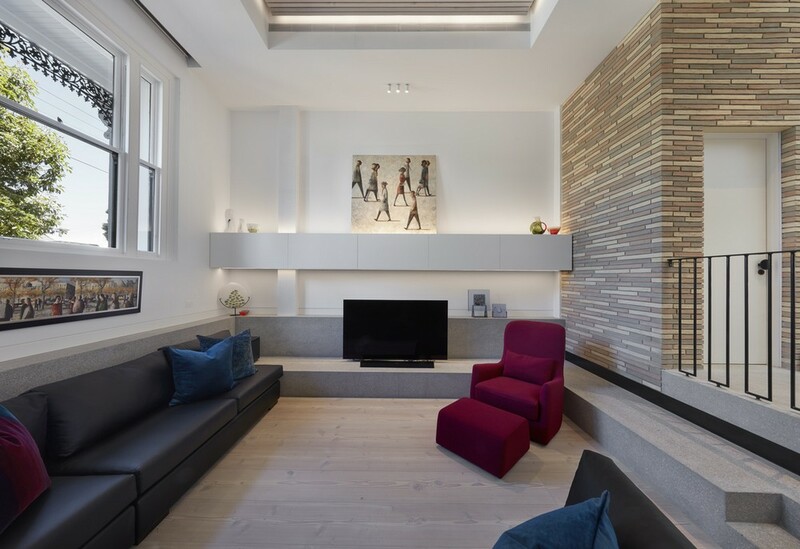 The Brace House was a process of retaining and celebrating the existing architectural language of a double fronted Victorian terrace whilst transforming the remainder of the dwelling into an adaptable, contemporary, modern family home. 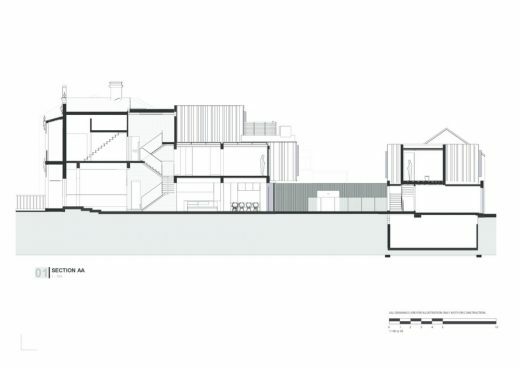 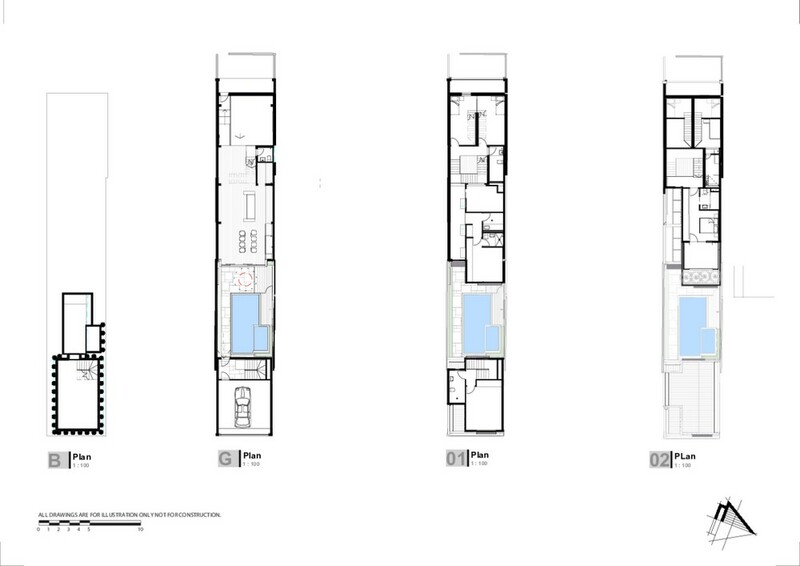 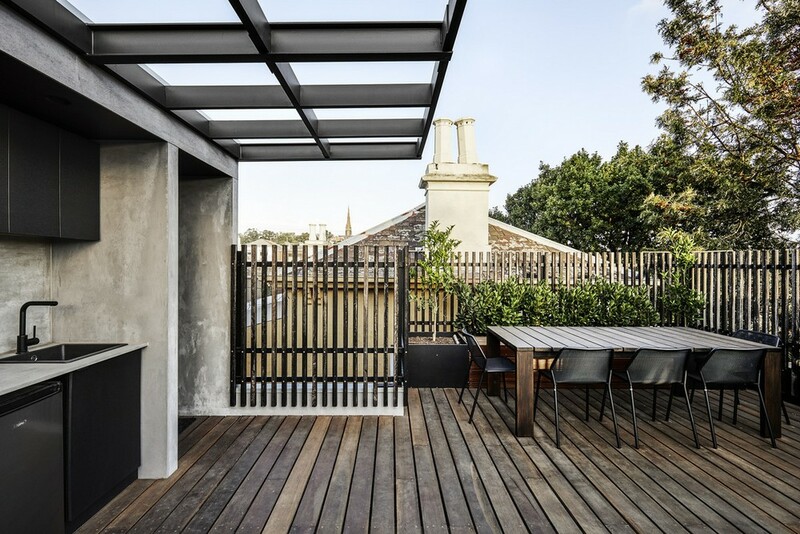 The structural omponents of the new dwelling was used to support the existing terraces to the north and south which was achieved both structurally and visually with the use of concrete columns and beams. 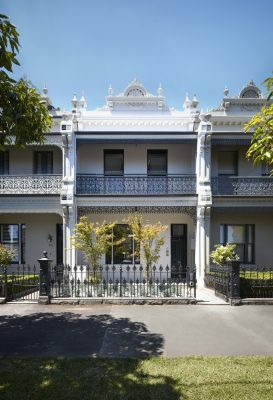 The heritage protected front façade where retained whilst the whole site was excavated one metre to allow for the proposed design. 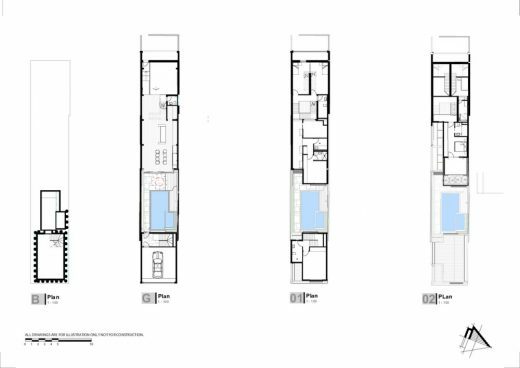 The new design supported the heritage values and set the foundations to increase the floor area without compromising openness. This prompted the incorporation of mezzanines and half levels to ensure the feeling of grandeur was retained. 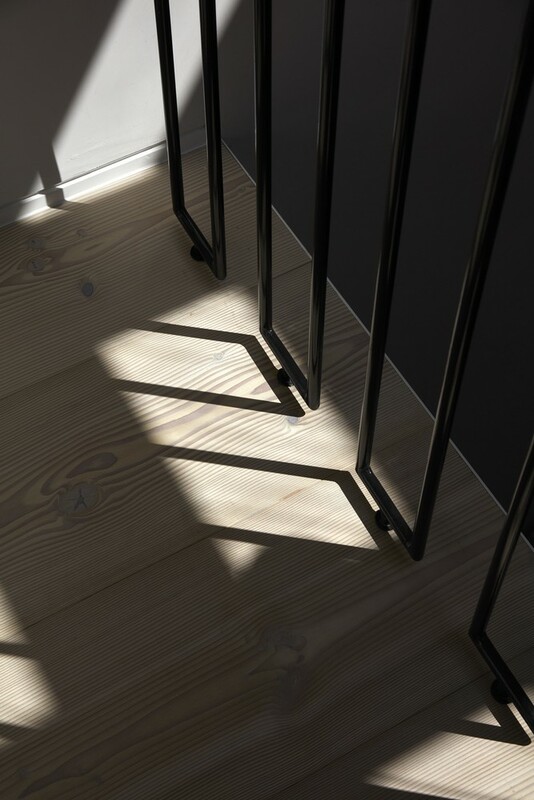 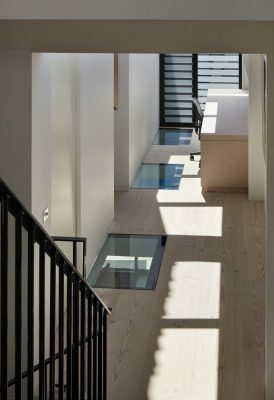 On entry, the light colour palette of the ground floor interior is revealed with the materiality of the polished plaster marrying harmoniously with the blonde, Douglas Fir timber floorboards. 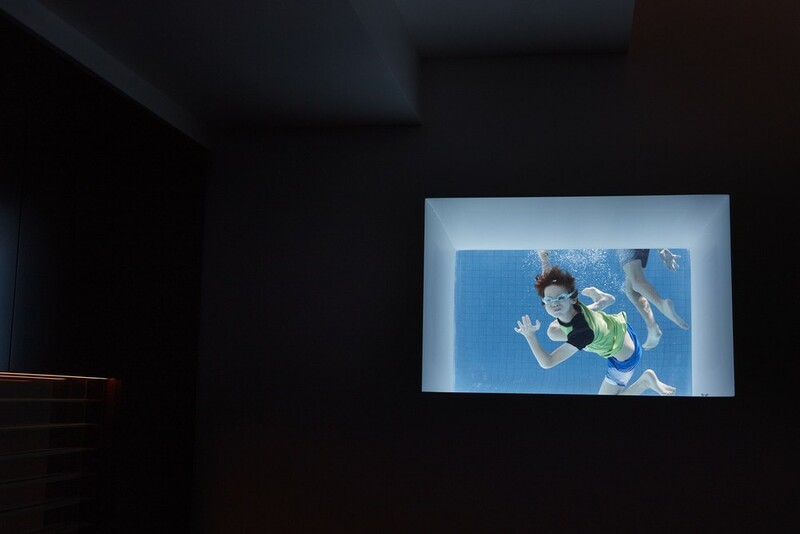 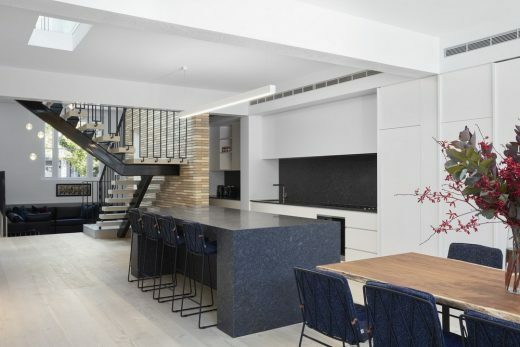 The polished concrete sunken lounge at the front of the home visually connects the concrete treads on the main staircase whilst increasing ceiling height and adding to the desired wall space for our client’s artwork. 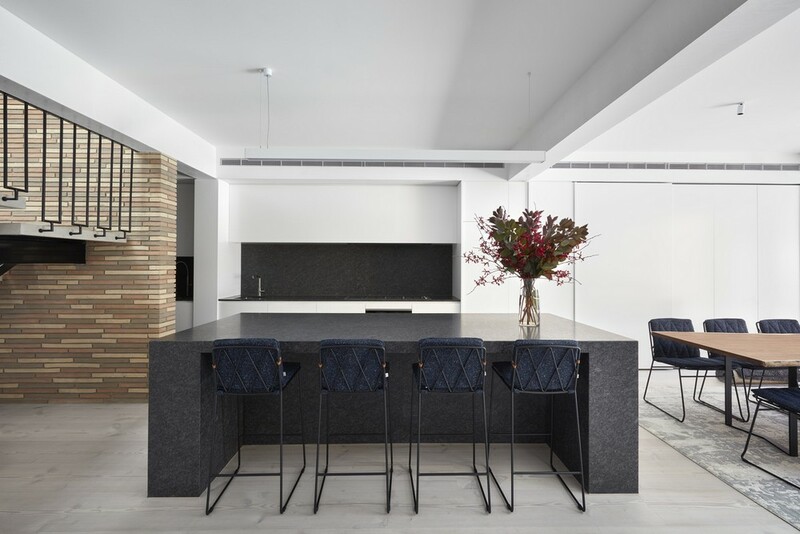 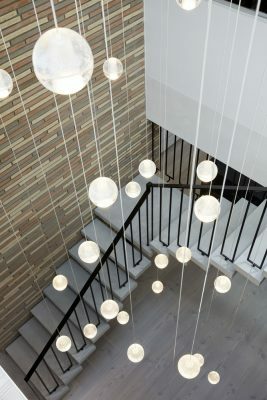 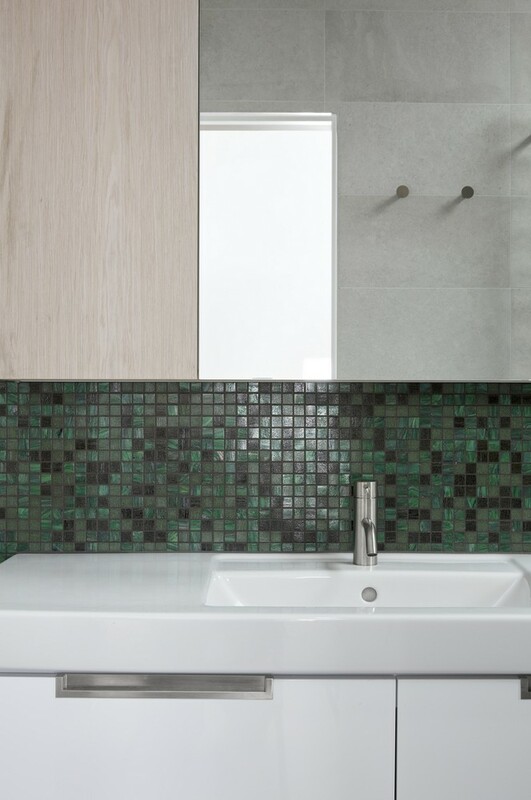 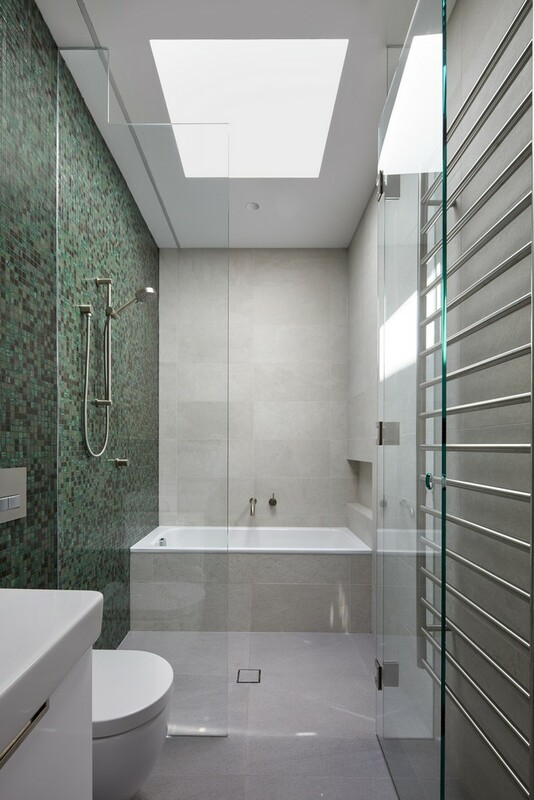 Situated in the middle of a row of terrace houses limited the options for typical resolutions to natural lighting which paved the way for several bespoke details. 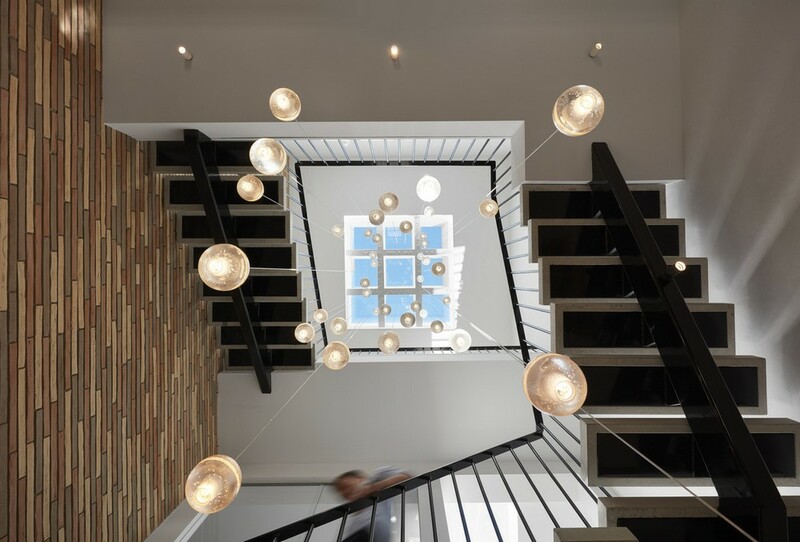 One of the main features of the design is the full height, three-storey void which filters light through the heart of the design and doubles as the home to the centralised custom stairwell. 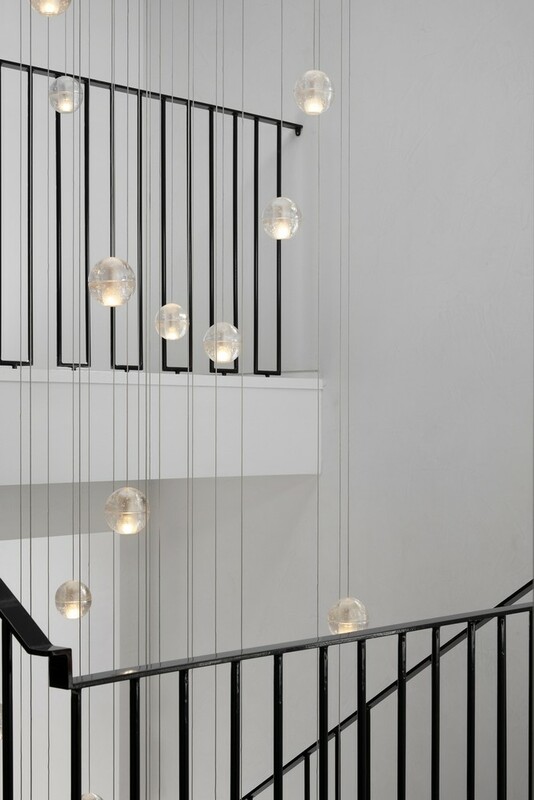 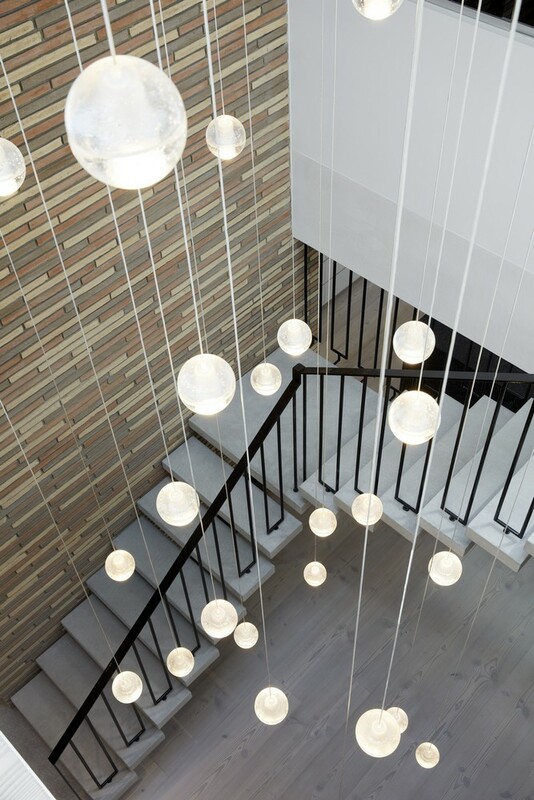 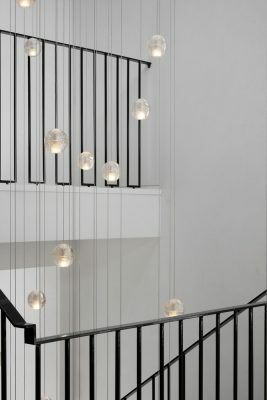 The forty lights which delicately step down through the void accentuate this space as the core of the home. 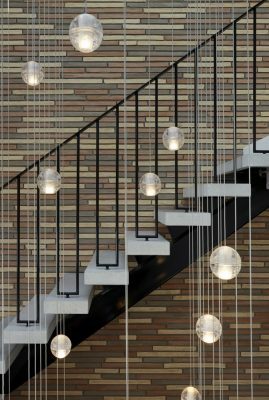 A grounding brick clad feature wall guides the user upwards to create a truly atmospheric experience. 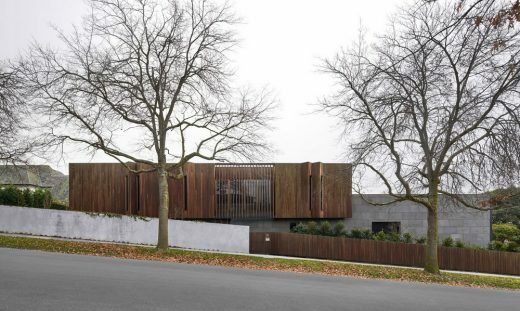 The rear façade of the house is clad in zinc and render which is deliberately mirrored on the laneway studio as the courtyards dark colour palette balances with the softer timber tones of the boundary fencing and travertine pavers. 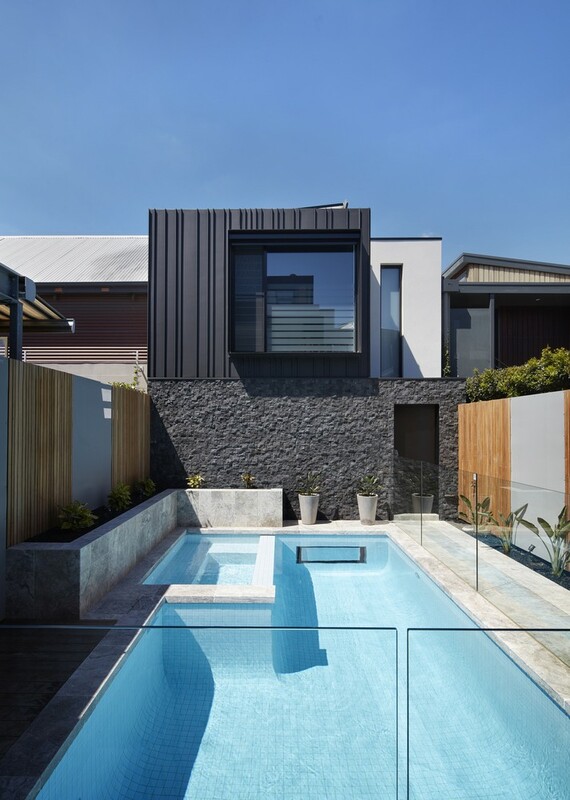 These features, combined with carefully considered vegetation and the calming tranquillity of the pool ties these zones together, creating an urban backyard oasis. The Brace house is a home that provides for a growing family whilst bracing against past values.